The Pound softened slightly against most of its peers as investors take a wait-and-see approach to today’s UK GDP figures. If the data comes in strongly then the Pound could challenge the 1.70 mark against the US Dollar, rise against the Euro and put increased pressure upon the Bank of England to normalize its monetary policy sooner rather than later. 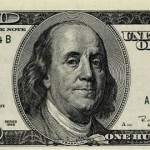 The US Dollar firmed late in yesterday’s session due to the release of data which showed that pending home sales in the world’s largest economy rose for the first time in nine-months last month. The data suggests that the US housing market is showing signs of recovery. Against Sterling the ‘Greenback’ could fall beyond a four-and-a-half year low if today’s UK GDP data comes in strongly. The Euro recovered some ground early in the session as data showed that consumer confidence in Germany remained steady. A separate report showed that unemployment in Spain edged higher in the first quarter of the year to reach 25.93%. The single currency could see further movement if today’s Eurozone consumer and business confidence surveys come in positively. Most investors however are taking a wait-and-see approach to the region as they look ahead to tomorrow’s eagerly anticipated Eurozone inflation data. Against the US Dollar the Euro is close to a two-week high. The ‘Aussie’ tumbled to a three-week low against the US Dollar and fell against the Pound and other major peers as iron ore prices slumped. The commodity is Australia’s biggest export. Yesterday’s positive data out of the US also weighed upon the ‘Aussie’. The New Zealand Dollar dropped against its major peers following the release of worse-than-expected domestic trade data. Official data showed that New Zealand’s trade surplus widened less than economists had forecast. The surplus widened to NZ$920 million in March, below expectations for a figure of NZ$937 million. The Canadian Dollar advanced to a one-week high against the US Dollar as demand for riskier assets improved following an easing of tensions in Ukraine. The ‘Loonie’ is likely to see volatility by events later in the week such as the US Federal Reserve’s interest rate decision and jobs data for both the USA and Canada. The Rand recovered some ground against its major peers yesterday as it tracked the Euro higher and as emerging market currencies found support from an easing of tensions in Ukraine. Economists were relieved that US sanctions against Russia were not as harsh as had been expected.